Nature comes into play when you step up to the first tee of this waterfront, 18-hole championship golf course designed by legendary course architect Dan Maples. 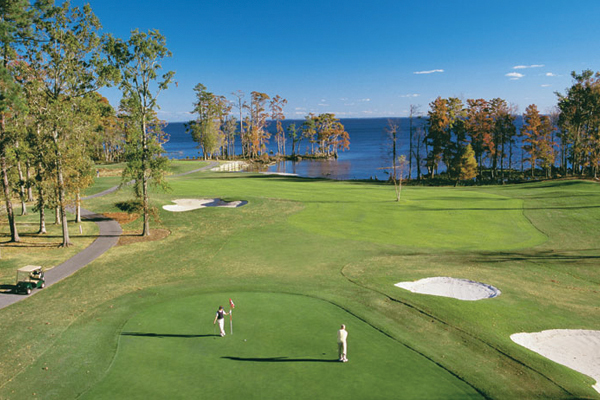 Rated 4.5 stars by Golf Digest, The Sound Golf Links meanders through low country marshland, forests of towering pines and moss-draped cypress, creating a spectacular backdrop for a challenging round that caters to all skill levels. 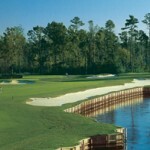 This layout will demand the best of your golfing ability, yet reward you with breathtaking scenery. 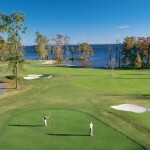 The final three holes overlook the Albemarle Sound leaving you wanting to play more.